Our network of faculty, alums, and others in the forest industry provides students with access to hundreds of internship and summer employment opportunities, but we also require that you get out there in the field and get a little dirty. Students in the School of Forest Resources (all majors) attend the Tanglewood Fall Field Camp (SFR 101). This experience is held each year toward the end of the summer at Tanglewood 4-H Camp and Learning Center near Lincolnville, Maine. The weeklong adventure at Tanglewood Camp allows you to interact with other students while getting to know some of the professors who will help you get where you want to go. No matter what career path you choose – forest manager, nature-based tourism guide, or forest bioproducts entrepreneur – you need to fully experience the forest to get you launched into a successful career in forest resources. Navigate the forest using a compass. Discover the balance between forest recreation and sustainability. Visit a wood harvesting operation. Tour a lumber mill for a look at today’s no-waste mill operations. At the end of the day, relax and find out what you have in common with other students while sitting around the campfire. If you are a high school student, consider attending the Discover the Forest Camp. SFR 207 and SFR 209 are intensive one-week courses that build off of field skills learned in first year courses. These field experience courses take place during the first and second weeks of May Term at Camp Roosevelt in Eddington, ME. In SFR 207, students will be assessed in plant identification, forest navigation, forest measurements and statistics, and tree biology. Additional topics will prepare students for future courses in operations, bioproducts, forest management, and wildlife management. SFR 209 will prepare students in various aspects of professional training ranging from basic safety to chain saw operation, to working around heavy forest equipment, to fire suppression and situational safety training around large forestry equipment. Assess and administer basic First Aid and recognize when and who to call in a medical emergency. *Students must complete SFR 201 – Wildland Firefighter Preliminary Training prior to enrolling in SFR 207 and SFR 209. Students in the Parks, Recreation, and Tourism major (PRT) will take SFR 301, a one-week course at the SERC facilities on the Schoodic Peninsula. Students will visit high profile locations in parks, recreation, and tourism while focusing on the planning and management of private businesses and public agencies. 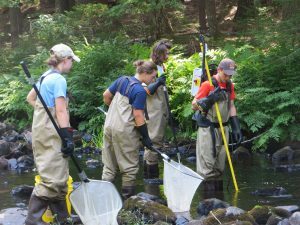 Students will train in preserving environmental resource conditions. SFR 213 (1 Credit) is designed to expose you to the exact circumstance that you will be working throughout your career in forestry. The class provides you with an overview and analysis of variability in regional timberland management, including their diversity, uses, and values in forest management. Exercises involving field measurement, data gathering, analysis, and assessment will be done in a one week period. Major timberland owners, loggers and forest managers will be demonstrating their field duties to the class. The course will be held one week prior to the beginning of Fall semester. 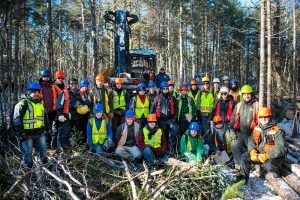 Tour and study forest management practices from various forestry entities across the state of Maine. Observe active forest operations including felling, skidding/ forwarding, processing, comminution, and road construction. SFR 460 (1 Credit) is a one-week inspection trip taken during the first week of spring break. You will visit a representative forest operations sites and manufacturers of wood and forest products selected for demonstration of typical plant operations. A written report is required. Prerequisite: SFR 215, SFR 450, or permission. Observe machinery, unit operations, and technical practices of the forest products industry. You will see material flow in the woods as well as from the wood yard through finished product in “job shops” and “continuous” production facilities. 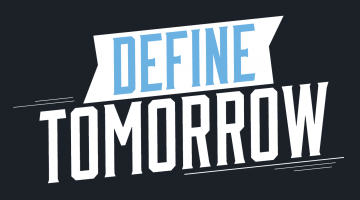 Discuss business, marketing, technology, and environmental issues. Gain appreciation for the differences among industry segments.